As most of you will have seen from my social media channels (especially Instagram stories) it was Harlow's 3rd birthday last week and we celebrated it in the house with her as well as going out and about too. Since she wasn't having a proper party this year, maybe next year, I wanted to make sure the house looked lovely for her to make her day special. Step in The Humble Hostess. The Humble Hostess was started by Jo, a London based mum of 2 who wanted to create the beautiful themed parties you see online. She found that putting together all the elements of a picture perfect day was both time consuming and stressful so The Humble Hostess was born. 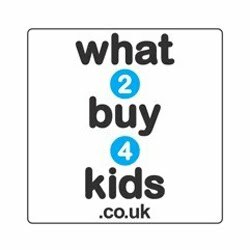 It's a beautiful concept and one which takes the hard work out of planning your child's party. 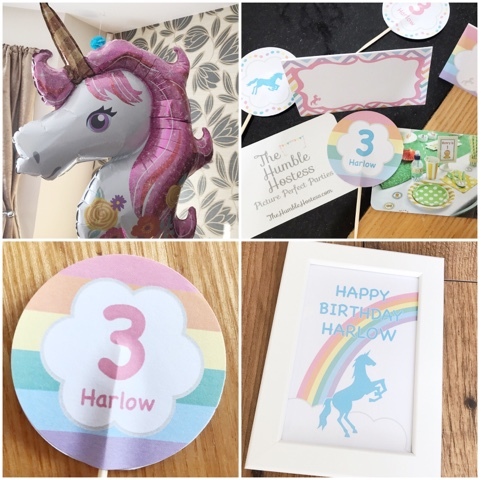 They've put together the themes, done the searching for you and created lots of personalised items for your party to help it look fantastic and, most importantly, freeing up your time to help you focus more on enjoying your little one’s special day. I have plenty of experience throwing parties and it is really stressful so having someone else do all the hard work for you is amazing. 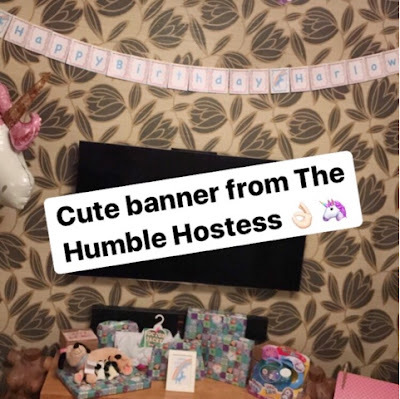 The Humble Hostess provide complete, personalised party decoration packages with their kits containing unique, handmade, personalised decorations to help your party stand out. 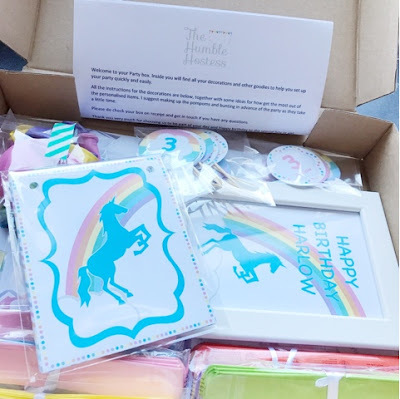 It's a beautiful box full of party goodies for 16 guests and once it arrives you simply hang the personalised bunting, set out the decorations and enjoy your little one's special day. It's also nice to note that the handmade personalised party items are designed and made at home in London. How fab is that. 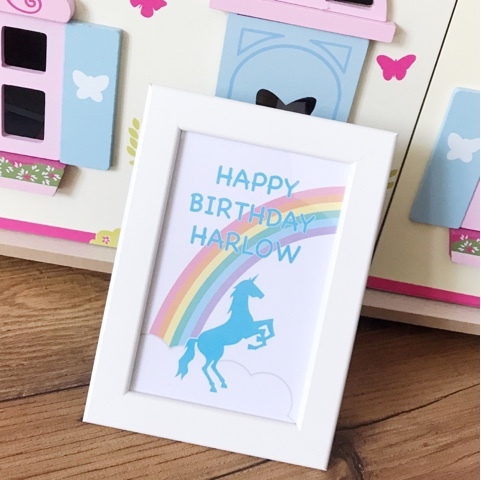 I chose the fabulous Rainbows and Unicorns theme for Harlow's birthday as she's horse mad and would really appreciate it. Other themes include Superhero, Chevron Bunny, Animal, Dinosaur, Train, Football, Princess and so much more. So what did we receive in our box for Harlow's birthday then? 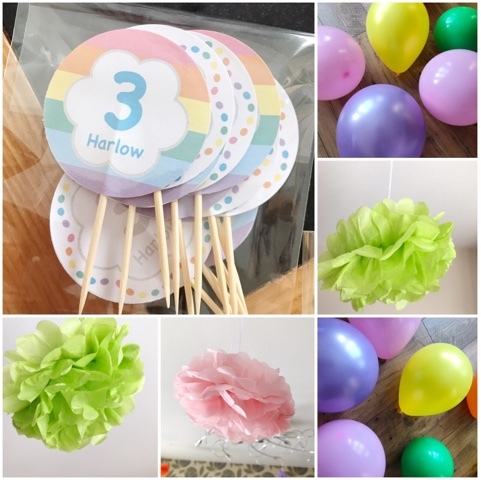 Well there was; personalised happy birthday bunting, a framed print, stickers, tissue pom poms, balloons, cupcake picks, table confetti, stickers, themed food cards or for smaller parties these could be name place cards. The box included instructions on how to assemble the tissue pom poms and ideas on using the other items and I found that really helpful. All of the items were lovely. The table confetti was fab to scatter on the table or you can use as party bag tags if you so wish. The cupcakes picks are perfect for sticking into the top of cupcakes, sandwiches, sausage rolls etc. The stickers I used for adding on extra touch to Harlow's wrapped presents but you could use them for party bags, stick to cloths, decorate plain cups or seal invitations or thank you cards with. The farmed picture was cute and read "Happy Birthday Harlow". It's perfecting for displaying on the buffet table. The food cards are also great for naming themed food. I had a pirate party for Logan and named all his food different things like cheese puffs were cannon balls and fruit skewers were swords. Fun times for the kids. The Happy Birthday bunting was gorgeous and included Harlow's name which is an excellent personal touch. There are 3 different types of party packs you can buy from The Humble Hostess with the first set starting at 35.00 called Decorations only pack. You can then move up to the Get the Party Started pack for 60.00 and last but not least the Ultimate Party pack for 80.00. Each pack contains different items so do have a look on the website for more information on each package. I was totally thrilled with all items in the party pack I received. They were good quality, colourful and did the job they were meant to do. Harlow loved all the rainbows and unicorns and I still have the tissue pom poms hanging from my ceiling in the living room. They're just too lovely to take down yet. Do check out The Humble Hostess if you have a party coming up soon that you're planning. It really will save you so much stress and hard work. I was sent a box of party supplies in return for an honest review. All opinions are my own. 7 comments on "Review: The Humble Hostess Personalised Party Packs"
I'm really rubbish at decorating so this looks like a great idea! I love a bit of table confetti too, although it is a total pain to clean up. Well, this is bloody genius! I found it a right faff Sorting Rory’s first birthday party and this would have been so helpful. What a wonderful idea. Takes the stress out of party planning. This is such a clever idea! Helps save some much stress & hassle. LOVE that balloon as well!